The participants can choose to attend both or any one of the trainings. Rapid urban growth and unplanned development has led to poor provisioning of basic utility services such as access to water and sanitation (W&S). In India, the National Water Mission (National Action Plan on Climate Change) and National Water Policy, 2012 talks about assessing impact of climate change on water resources, promotion of citizen and State action for water conservation and augmentation, increasing water use efficiency by 20% and promotion of basin level integrated water resources management. There are numerous national and state level initiatives emphasizing the importance of sanitation, like National Urban Sanitation Policy (NUSP), Smart City Mission, Swachh Bharat Mission (SBM), and Atal Mission for Rejuvenation and Urban Transformation (AMRUT). The focus, however, lies in the “hardware” aspect of sanitation, which mainly includes provision of services and infrastructure, like the construction of toilets or laying of the pipeline network. Lack of comprehensive planning and services exposes humans to adverse health risks. There is a need to understand that the W&S management are done at various levels – Individual building, Neighborhood, City and Sub-basin/basin levels. The planning and management for achievement of the above-mentioned goals of SDG and national water mission requires utilization of various tools and approaches which could be utilized to achieve one or more of these goals. The tools and approaches could be preventive or reactive in nature or they could be focused around a single/multiple dimension (social, economic or environment). 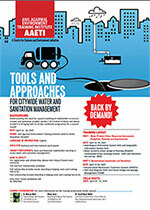 Based on demand and understanding the need of building capacity of stakeholders for creating a water and sanitation prudent society, the School of Water and Waste, AAETI, Centre for Science and Environment (CSE) is organizing a second round of training on “Tools and Approaches for Citywide Water and Sanitation Management”. The 10 days short term residential training is being organized at CSE’s newly built state-of-art facility, AAETI at Nimli, Rajasthan. 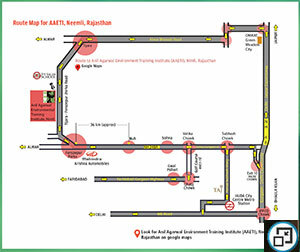 AAETI is a learning, training and innovation centre designed to find appropriate and affordable solutions to some of the most pressing environmental problems. The aim of the training is to create change-agents in the water and sanitation sector, who will have in-depth understanding of key tools and approaches for city wide water and sanitation management. The training programme, Part I and Part II,will have one day each reserved for field visits to have practical visibility of the best management practices following WSUDP approach. It is mandatory to provide letter of motivation and nomination/reference for processing your application. National and State Level Training Entities, PMUs supporting Smart City, AMRUT and HRIDAY Mission. 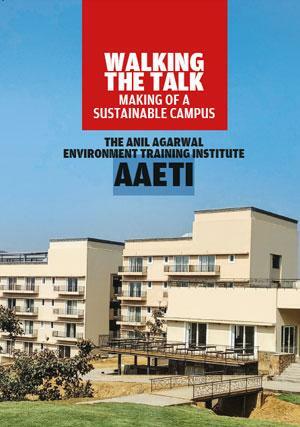 Senior Director & Academic Director, (School of Water and Waste, Anil Agarwal Environment Training Institute – AAETI).